As far as children are concerned, dinosaurs are right up there with pony rides, no bedtime, and unlimited ice cream. So naturally, you’ve gotta do dinosaur story times. And what could be better than an app that shows these amazing creatures in action? Not much. 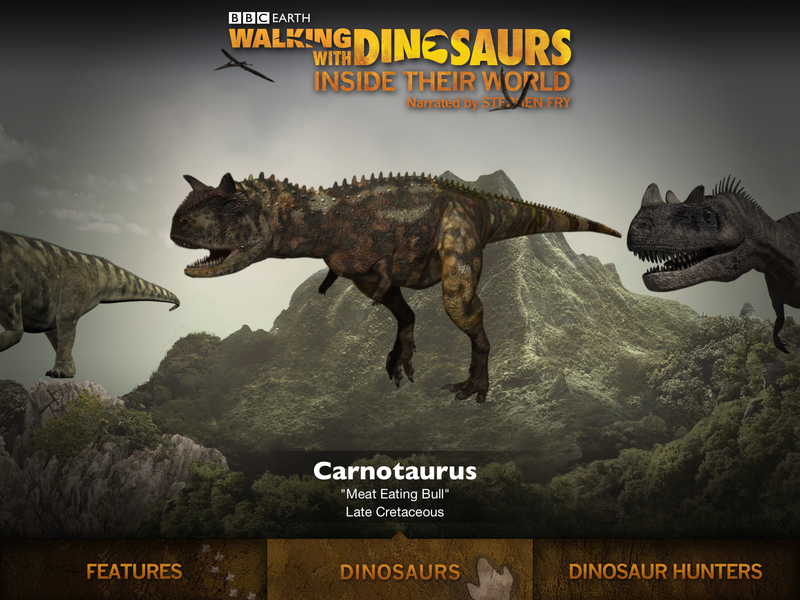 In my story time last week, the app BBC Earth: Walking with Dinosaurs made them come to life and the children went nuts. The home page of the app has three different options. “Features” provides different screens with general information about dinosaurs and their environment, the different periods (Jurassic, etc. ), famous discovery sites, how fossils are formed and excavated, and divisions of dinosaurs. “Dinosaur Hunters” offers a roll call of famous dinosaur hunters with portraits of them and short biographies. The really fun option, and what I used in story time, is simply titled “Dinosaurs.” Pictures of dinosaur species float above a landscape in alphabetical order. These can be scrolled through and tapped on. Once a dino is chosen, a new screen is presented in which that dinosaur is shown walking along, looking around, and making noise. On the right side of the screen is listed the name and pronunciation, what the name means, and a brief overview of the dinosaur. A touch on the speaker button activates a narrator who reads the information to you—helpful for young users. Another button allows you to share the information on the slide either by email or Facebook. If you tap on the dinosaur, the information disappears, while the creature remains, trotting along in a darkened landscape. A swipe takes you to the next dinosaur in the alphabet, or a tap brings the information back. Touching the button on the center bottom takes you to a 3D 360° view of the dinosaur with more detailed information about it. A tap on the magnify button or the dinosaur allows you to see even more detail. Some expansions even show the dino eggs, or prey, or the creature defending itself or attacking other dinosaurs. These screens didn’t always respond readily, but a swipe to another screen and back seemed to fix the problem. 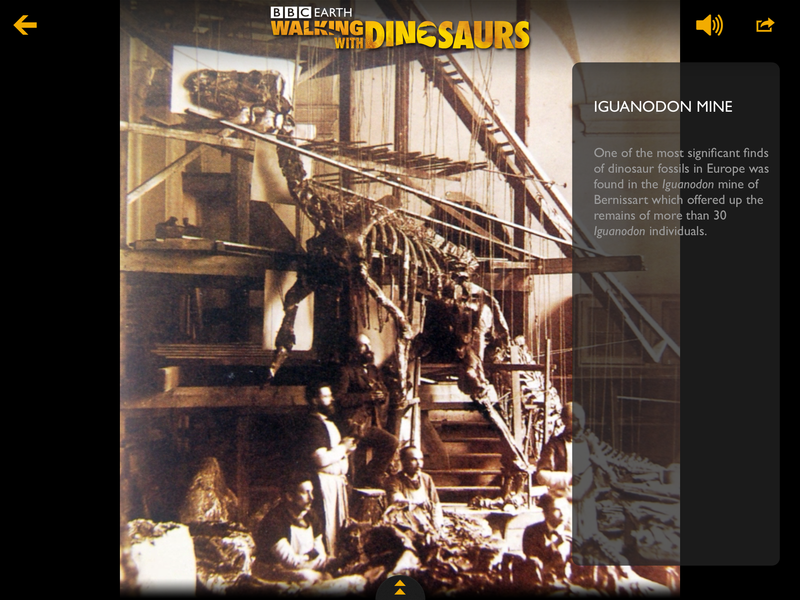 For my story time, I had set up the app to Carnotaurus so that he was already on the screen when I opened the iPad. I had blanked the information and just had the dinosaur walking and making noise. Ho-boy! The kids were thrilled and the chatter exploded. I made everyone sit down and then I brought up the information with a tap and read the name to them. Then, I swiped to Ceratosaurus, then Citipati and finally, Coelophysis. The kids weren’t even close to being done looking, but the storytime needed to move along. Normally, I would have let the kids play with it during playtime after stories, but it was our craft week. I may bring back the app after another storytime and let the kids play then. As mentioned, there’s one spot where the screens don’t respond like they should, and although you can see the dinosaurs clearly and everything is readable, I disliked that the screens and backgrounds were all so dark—but that’s a personal preference. The app might feel scary for some younger users because of the realistic movements and sounds, but my preschoolers did just fine. You get a whole lot of app for $4.99, and I managed to download it for free during one of the promotional times, so it was an even better deal. 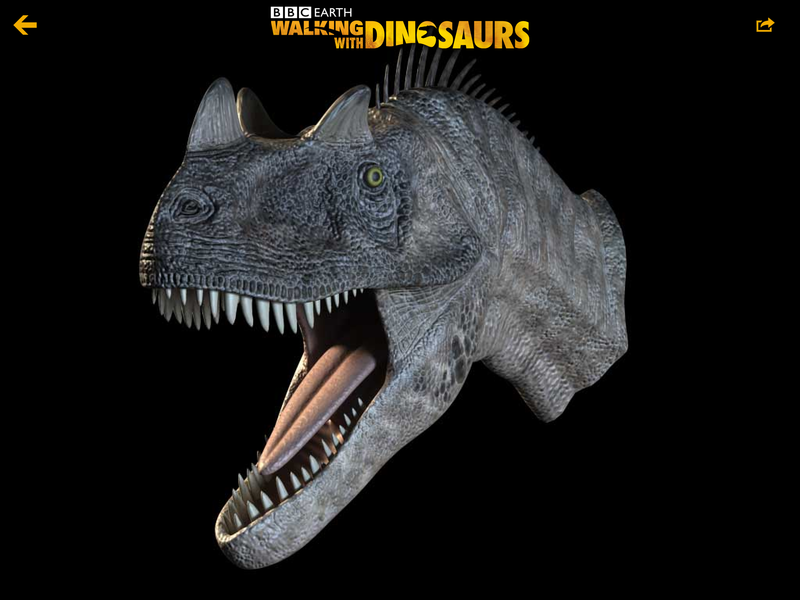 An ideal app for dinosaur lovers of all ages. Posted on August 13, 2014, in Apps and tagged Awnali Mills. Bookmark the permalink. Leave a comment.